Jürgen Klopp will assess the fitness of Trent Alexander-Arnold, Jordan Henderson and Georginio Wijnaldum before deciding on Liverpool's line-up against Bournemouth. The trio were absent for Monday’s 1-1 draw at West Ham United with injury but returned to training at Melwood this week ahead of the Cherries’ visit to Anfield. And their availability for selection will be monitored in the final hours before the Premier League clash, Klopp explained at his pre-match press conference on Friday. “Trent trained yesterday for the first time and didn’t mention any issues or any problems. After four weeks for a first session, we need to see what we do there,” said the manager. Dejan Lovren is definitely ruled out, however, with the Champions League tie against Bayern Munich a realistic target for the defender’s comeback. Joe Gomez is a longer-term absentee following surgery earlier this week. Bournemouth will be without top scorer Callum Wilson (knee) and attacker David Brooks (ankle) for the trip to Anfield, manager Eddie Howe confirmed. 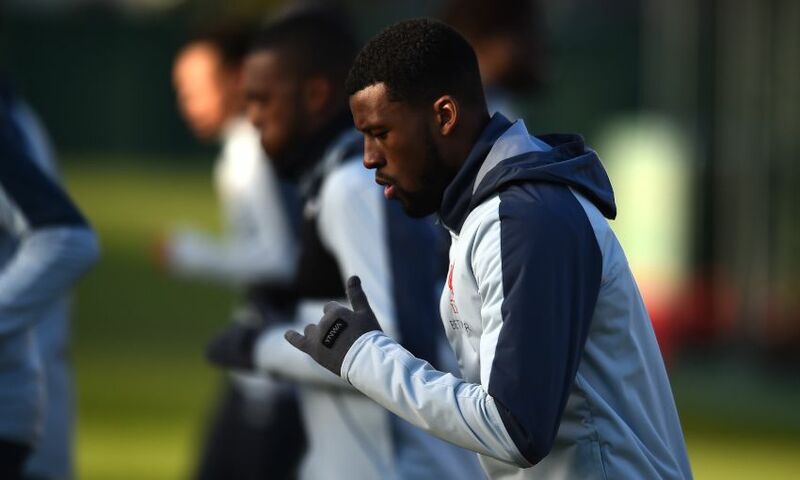 The Cherries must check on the fitness of midfielder Jefferson Lerma (ankle), too, while on-loan right-back Nathaniel Clyne is ineligible to face his parent club. Dominic Solanke, who joined Bournemouth in a permanent move from the Reds last month, is in line to take on his former team after making his debut last week. Howe, whose side suffered a 4-0 defeat by Liverpool earlier this season, said: “We have had some great games with Liverpool. The recent games have been tough, though. West Ham United v Liverpool (February 4): Alisson, Milner, Matip, Van Dijk, Robertson, Fabinho, Keita, Lallana, Mane, Salah, Firmino. Cardiff City v Bournemouth (February 2): Boruc, Clyne, S. Cook, Ake, Smith, Stanislas, Gosling, Surman, Fraser, Solanke, King.